British online fashion retailer Boohoo Group reported a 43% year-over-year increase in revenues on a constant-currency basis, for the four months ended December 31, ahead of consensus expectations. Robust sales were driven by growth across all geographic regions, with particularly strong momentum in the U.S.
Group gross margin expanded 170 basis points year over year to 54.2%. 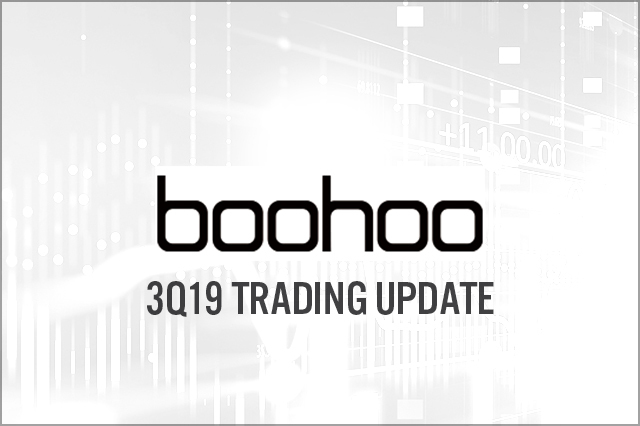 Boohoo raised its revenue guidance and now expects FY19 revenue growth of 43%–45%, versus 38%–43% previously.